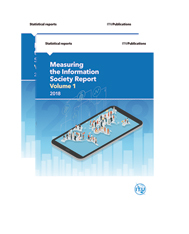 The 10th edition of the Measuring the Information Society Report, an annual report published by ITU since 2009, features key ICT data and benchmarking tools to measure the information society. The report presents a quantitative analysis of the information society and highlights new and emerging trends and measurement issues. 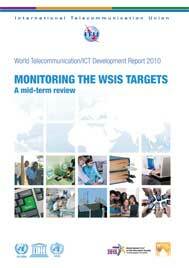 The 2018 report will present the current state of ICTs using data collected by ITU from its Member States. The report will also feature chapters on ICT skills for the future, revenue and investment in the telecommunication sector and ICT prices. The report will include again individual country profiles providing a snapshot of the latest ICT landscape and efforts made to increase ICT access and use. 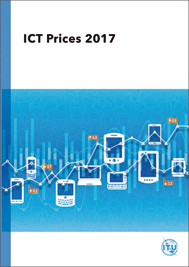 The analytical report is complemented by a series of statistical tables providing country-level data for the indicators included in the ITU ICT Price Basket. Exceptionally, the pdf format of Volume 1 is now available free of charge via the BDT statistical pages Link. Other versions can be purchased below as they are made available, with the complete zipped set of Volume 1 and potentially forthcoming Volume 2 expected in early 2019. Pre-orders for the hard-copy set now accepted. For more information, please contact ITU Sales. 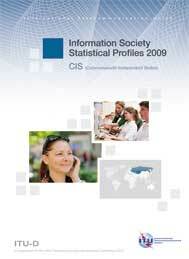 The World Telecommunication/ICT Indicators database on USB Key and online contains time series data for the years 1960, 1965, 1970 and annually from 1975 to 2017 for more than 180 telecommunication/ICT statistics covering fixed-telephone networks, mobile-cellular telephone subscriptions, quality of service, Internet (including fixed- and mobile-broadband subscription data), traffic, staff, prices, revenue, investment and statistics on ICT access and use by households and individuals. Selected demographic, macroeconomic and broadcasting statistics are also included. For the June release, data for 2017 are available for selected indicators such as fixed-telephone subscriptions, mobile-cellular telephone subscriptions, international Internet bandwidth, fixed (wired)-broadband subscriptions and percentage of individuals using the Internet. Data for over 200 economies are available. Dec 2018 Database on USB key, now available. 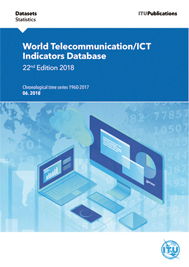 The World Telecommunication/ICT Indicators database on USB Key and online contains time series data for the years 1960, 1965, 1970 and annually from 1975 to 2017 for more than 180 telecommunication/ICT statistics covering fixed-telephone networks, mobile-cellular telephone subscriptions, quality of service, Internet (including fixed- and mobile-broadband subscription data), traffic, staff, prices, revenue, investment and statistics on ICT access and use by households and individuals. Selected demographic, macroeconomic and broadcasting statistics are also included. Data for over 200 economies are available. As per Council 2017, the current December 2018 version of the database is made available free of charge to Member States via this direct link accessible with Member State TIES access only, currently not sector member TIES access. Otherwise, a reduced rate is provided when purchasing any two consecutive editions of the USB key. For more information on either of these, please contact ITU Sales. New Dec 2018 edition with data through 2017, now available for purchase below. 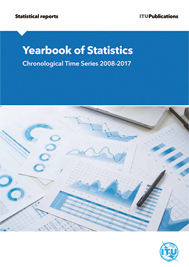 This is the 44th edition of the Yearbook of Statistics. The data included in the Yearbook have been collected and processed by the Telecommunication Development Bureau (BDT) from replies received to ITU questionnaires sent to telecommunication ministries or regulators and national statistics offices. 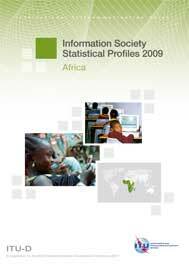 As such, the ITU Yearbook of Statistics provides the most authoritative source of data about the evolution of the telecommunication sector, the availability of ICTs in households and usage of ICTs by individuals. As per Council 2017, the pdf version is available free of charge to Member States from a protected link via secured Member States TIES access. For more information, please contact ITU Sales. 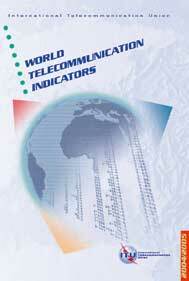 This publication contains ITU's authoritative World Telecommunication Indicators for year-end 2003 and some 2004 data for selected indicators.These statistics monitor the main indicators of telephone network growth, mobile communications, pricing, revenues and investment for around 200 economies worldwide. 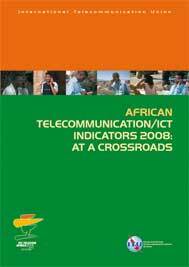 Prepared for Africa TELECOM 2008 (Cairo, Egypt, 12-15 May 2008), this report is an indispensable reference book of telecommunication facts and figures for the region. 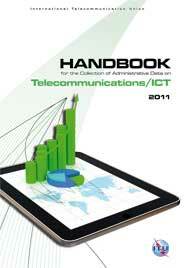 The publication provides an overview of market trends, including in the area of fixed, mobile and Internet services. 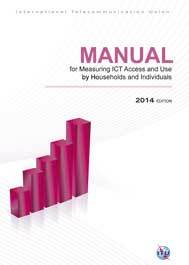 It looks at the availability of ICTs in households and highlights the importance of community access to ICTs. It further looks at the role of different factors that will be crucial in connecting Africa, including regulation and taxes schemes in telecommunications/ICTs. The report includes some 20 regional tables covering key telecommunication/ICT indicators, 55 individual country pages with a five year profile from 2002-2006, and a directory with names of telecommunication ministries, regulators and operators in the region. 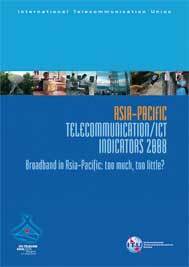 Asia-Pacific Telecommunication/ICT Indicators 2008: Broadband in Asia-Pacific: too much, too little ? Prepared for ITU TELECOM ASIA 2008 (Bangkok, Thailand, 2-5 September 2008), this report is an indispensable reference book of telecommunication/ICT facts and figures for the region. The publication provides an overview of recent market trends, including in the area of fixed, mobile and Internet services. It focuses on broadband developments in the region, including in terms of policies, technologies, competition, access, pricing and applications. The report highlights government policies in the area of broadband that may serve as best practice examples but also looks at and analyzes the region's broadband digital divide and makes a number of conclusions and recommendations. The report includes some 20 regional tables covering key telecommunication/ICT indicators, over 40 individual country pages with a five year profile from 2002 to 2007, and a directory with names of telecommunication ministries, regulators and operators in the region. 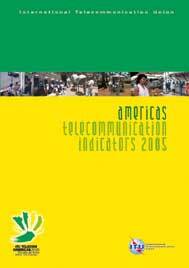 The 2005 edition of ITUs Americas Telecommunication Indicators has been prepared especially for ITU TELECOM AMERICAS 2005 (Salvador da Bahia, Brazil, 3-6 October 2005). 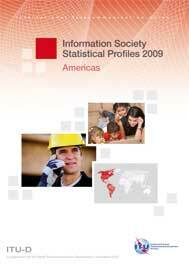 The publication consists of three parts: an analytical overview, regional and country statistics and a directory of telecommunication organizations. An overview of the regions telecommunication sector is the subject of the analytical overview. The statistical section consists of regional indicator tables covering areas such as fixed telephone, mobile, Internet and broadcasting data. Data are for year-end 2003 or 2004, where available. The directory section consists of the names and websites of telecommunication ministries, regulators and facilities-based telephone and cellular operators active in the region. 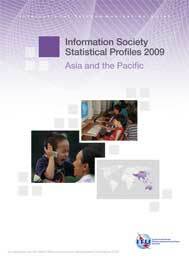 The CD-ROM contains a series of ITU Internet case studies carried out in South East Asia in 2001, as well as presentations and documents from the workshop 'The Internet in South East Asia', which was held in Bangkok, Thailand, in November 2001. The CD-ROM comes with a colour brochure that includes a summary of the workshop and a brief overview of the case studies. The third edition of the authoritative ITU/TeleGeography Inc. "Direction of Traffic" publication focuses on the transition in international telecommunication traffic away from the bilateral regime, based on accounting rates, to a new, multilateral, trade-based regime. Specifically, the report looks at the impact that the changing telecommunication environment will have on developing countries. "This report has been prepared as a background document for the ITU Connect Arab Summit, which takes place in Doha, Qatar from 5 to 7 March 2012. The main objective of the report is to provide an overview of the deployment and adoption of information and communication technologies (ICT) in the Arab region, and to carry out a needs assessment that will help policy makers in the Arab States to identify key ICT areas that require future action. The report in particular focuses on the ICT issues identified by the Arab States regional initiatives adopted by the World Telecommunication Development Conference (WTDC-10), such as broadband access, digital broadcasting, opensource software, Arabic digital content and cybersecurity. " 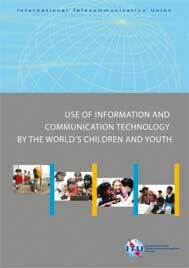 The main purpose of this report is to shed light on the current situation by presenting and describing statistical information on the use of information and communication technology (ICT) by the children and youth of the world. A secondary goal is to describe the limitations of existing statistics, and to present proposals to increase the availability and comparability of statistics on young people's use of ICT. 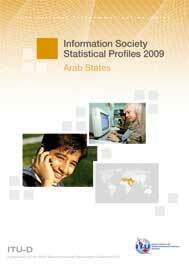 This report is the first of a series of regional statistical profiles on the information society prepared by ITU in 2009, as an input to the six regional preparatory meetings (RPMs) for the ITU World Telecommunication Development Conference 2010 (WTDC-10). These developments were examined in detail in the 2008 ITU Asia-Pacific Telecommunication/ ICT Indicators Report, on which Chapter 2 of this report is based. It highlights some of the earlier key findings and provides the latest updates and figures. The report also features a regional analysis of the ITU ICT Development Index (IDI) and the ICT Price Basket, two ICT benchmarking tools that were launched in March 2009. "This report highlights the latest ICT developments in the region and includes key statistical information for every country. It features a regional analysis of the ITU ICT Development Index (IDI) and the ICT Price Basket, two ICT benchmarking tools that were launched in March 2009. The report points to key policy issues in the region and provides concrete recommendations for policy makers. African countries are facing a number of challenges in increasing ICT levels. They include the lack of full liberalization of markets and the limited availability of infrastructure, such as shortage of international Internet bandwidth. In addition, prices for ICT services remain very high compared to income levels and broadband Internet services are out of the reach of most Africans. " This report highlights the latest ICT developments in the Americas region and presents key statistical indicators for each country. The report also features a regional analysis of the ITU ICT Development Index (IDI) and the ICT Price Basket, two ICT benchmarking tools that were launched in March 2009. "This report highlights the latest ICT developments in the CIS region and presents key statistical indicators for each country. The report also features a regional analysis of the ITU ICT Development Index (IDI) and the ICT Price Basket, two ICT benchmarking tools that were launched in March 2009. The CIS region is characterized by large disparities in terms of income levels, geography and size of economies. Russia is not only the largest economy in the region, but also the most advanced when it comes to ICT developments, driven by a strong and growing telecommunication market. Both Russia and Ukraine have impressive mobile penetration levels, high Internet growth rates and a dynamic ICT sector. While the region as a whole has experienced steady ICT development during the past decade, low-income countries, such as Tajikistan and Uzbekistan, are still characterized by limited ICT penetration and moderate ICT growth. " 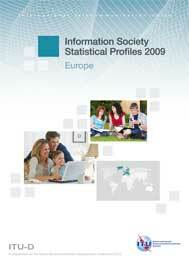 "This report highlights the latest ICT developments in Europe and presents key statistical indicators for each country. The European region is a world leader when it comes to information and communication technology (ICT) access and use. It was the first region to adopt a uniform standard for mobile telephony in the early '90s, and to introduce next-generation mobile networks in 2000. Internet usage and fixed and mobile broadband uptake have increased significantly during the past few years. Today, the European market, with around ten per cent of the global population, accounts for more than 18 per cent of the world's mobile cellular subscriptions, 21 per cent of fixed telephone lines, 22 per cent of Internet users, and 31 per cent of both, fixed broadband subscribers and mobile broadband subscriptions. The large majority of European countries has surpassed the 100 per cent mobile penetration mark, and close to two out of three Europeans are using the Internet. ITU ICT Development Index (IDI) and the ICT Price Basket, two ICT benchmarking tools that were launched in March 2009. I am confident that the findings of the report as well as the resulting policy conclusions will provide useful inputs to our members in preparation of the WTDC-10." This report is the sixth of a series of regional statistical profiles on the information society prepared by ITU in 2009, as an input to the regional preparatory meetings (RPMs) for the ITU World Telecommunication Development Conference 2010 (WTDC-10). The sixth RPM - for the Arab States - takes place on 17-19 January 2010 and is hosted by the Government of Syria. "The World Summit on the Information Society (WSIS) Geneva Plan of Action identified ten targets to be achieved by 2015, along with numerous recommendations based on different action lines. In 2008, the United Nations Economic and Social Council (ECOSOC) recommended that the Partnership on Measuring ICT for Development track progress towards achievement of the WSIS goals and targets (Resolution 2008/3). The Partnership has developed a set of core ICT indicators designed to monitor ICT developments (Partnership, 2010). They cover ICT infrastructure, household ICT access and individual use of ICT, business ICT use, the ICT sector, trade in ICT goods, and ICT in education. 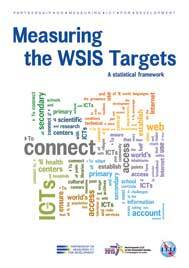 This publication finalizes the work of the Task Group and other members of the online forum, by presenting a statistical framework and a set of indicators for measuring the WSIS targets. It elaborates on each indicator and presents relevant statistical standards, such as classifications, definitions and data sources. " This document contains the definitions of the ITU indicators based on administrative data sources that have been developed between 2011 and 2013, after the publication of the ITU Handbook for the Collection of Administrative Data on Telecommunications/ICT. These additions reflect the outcomes of the Expert Group on Telecommunication/ICT Indicators (EGTI), as endorsed by the World Telecommunication/ICT Indicators Symposium. The Little Data Book on Information and Communication Technology 2017 presents tables for over for 217 economies around the world. It provides comparable data for 2005 and 2015 on key ICT indicators covering the economic and social context, the structure of the information and communication technology sector, sector efficiency and capacity, and sector performance related to access, usage, quality, affordability, trade, and applications. The glossary contains definitions of the terms used in the tables. This report analyses prices of ICT services in more than 150 countries worldwide for the period 2008-2016, to arrive at an understanding of the affordability of ICT services. The trends of four sub-baskets - namely mobile-cellular, fixed-broadband, mobile-broadband accessed via mobile handset with a cap of 500 MB, and mobile-broadband accessed via USB dongle with a cap of 1 GB - are discussed separately, highlighting the variation in prices within and between regions. Prices in this report are expressed in three complementary units: in United States dollars (USD); in international dollars (PPP$), using purchasing power parity (PPP) conversion factors; and as a percentage of countries' monthly GNI per capita. This report considers the measurement aspects of child online protection. 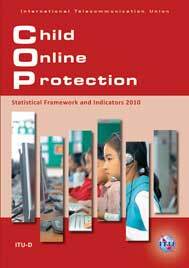 For the first time, an attempt has been made to provide an overall statistical framework related to the measurement of child online protection with a particular emphasis on measures that are suitable for international comparison. Most importantly, the report recommends a list of indicators related to measuring COP, along with their definitions and suggestions for data collection. The proposed indicators will enable Member States to assess the status of child online safety in their country, and identify aspects of child online protection that may require further effort. The report has been prepared with the objective to reliably measure the problem and monitor the solutions and therefore provides useful guidance to all countries, especially the developing countries, that are interested in monitoring child online safely issues. The report, which was prepared as an input to the COP initiative and the ITU Council Working Group on Child Online Protection, draws on the experience of countries that have piloted work on measuring COP.